Additional Terms: This promotion is available to eligible players who opt in from 14:00 (UK Time) on Friday 14th July until 23:59 (UK Time) on Sunday 27th August. Only sessions that start and end between each Friday and Sunday during the promotional period will be eligible. Bonuses will be credited to a player’s bonus balance before 17:00 (UK Time) each Monday until the end of the promotion. 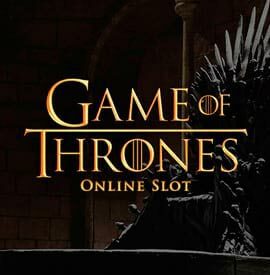 Your total gameplay on Game of Thrones™ 243 Ways or Game of Thrones™ 15 Lines at 32Red during the promotional period each weekend will be calculated in order to generate the bonus amount. 10% of your combined profit on these games or 10% of your combined losses will be added as a casino bonus. The minimum bonus that will be credited is £5 or currency equivalent. Any unused bonuses will expire after 7 days. Happy to announce and review one more offer from 32Red Casino. So, if you are a lover of the gambling house, slot games and also a fan of Game of Thrones series, then this article is just for you. The online casino decides to celebrate the release of the new season of the world-known serial with special time-limited Giveaway Bonus. And the website welcomes you to join! At the first sight, the rules are a little bit complicated. Here I am to help you on the way. Here you can get 10% bonus both for your winnings and as a cash back on your losses. It’s really win-win offer, isn’t it? The bonus amount will be generated after the calculation on each weekend. You have 7 days to use your bonuses, after the period they will expire, T&C apply for you. If the casino bonus brings you not only pleasure, but also gains, then get ready to meet the wagering requirement of 30 times prior to withdrawing wins. The WR is applied to the bonus only. Thus, if 32Red gives you £10 as bonus, then you need to make stakes on the sum equal to £10 * 30 = £300. You can do that by playing the top slots as well. The clock is ticking! Hurry up to opt in. Use the button below to be in time for the bonus promotion! Get ready for merciless cash prizes coming on the reels of the popular Microgaming slot machine. Just prepare your pockets the winnings are almost here! The war is not finished… Here you have 15 lines to conquer the throne and hit impressive cash prize. Be ready to fierce battles during Free Spins with 4 modes that are waing for you already.